Are your legacy or mainframe apps worth the move? Some applications are too risky to move off premises for financial or technological reasons, but how do you identify those applications? Some legacy workloads, such as those that run on a Unix machine or mainframe apps, often fall into this category. "Mainframe workloads are typically strategic and are not necessarily easy to offload and move," said Eastwood. "It's safer and potentially cheaper when you start to factor in risk to keep them where they are." 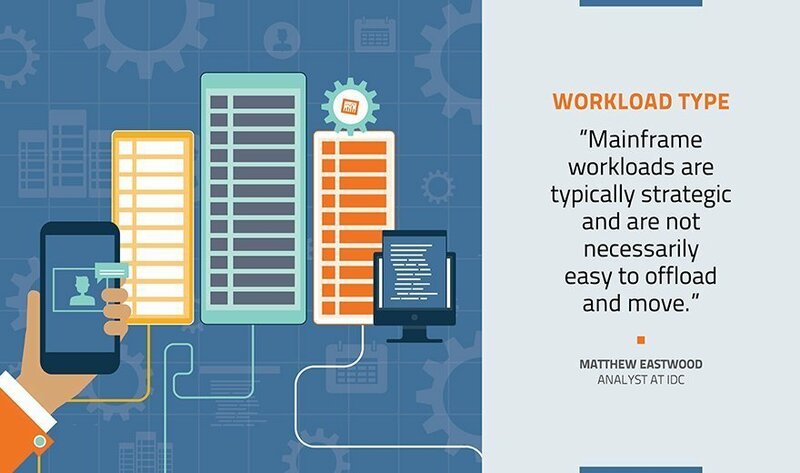 Downtime is the biggest risk with mainframe apps, especially if they're high-priority and have an immediate impact to the business, he said. These include financial applications or apps that are directly connected to an essential workstream. But it's not just mainframe apps, specifically, that pose this risk. Technological barriers can hamper efforts to port legacy applications to virtualized instances on the cloud, said Fidacaro. If it's not a virtualized or cloud-ready application, organizations often incur financial costs to modernize it so that it can run on the cloud efficiently. "When you think about these environments, not only do you have to port it so that it can run in the cloud, but you may have to transact it with other applications," he said. Legacy applications that don't require global visibility, are fairly static and don't need to relocate on demand might not be worth offloading, said Lowe. Applications with heavy customization and internal use, such as an organization's inventory system, also should stay on premises. How does a mainframe migration pose risks to your IT organization?